A completely closed spring cave is waiting for you to explore it!! 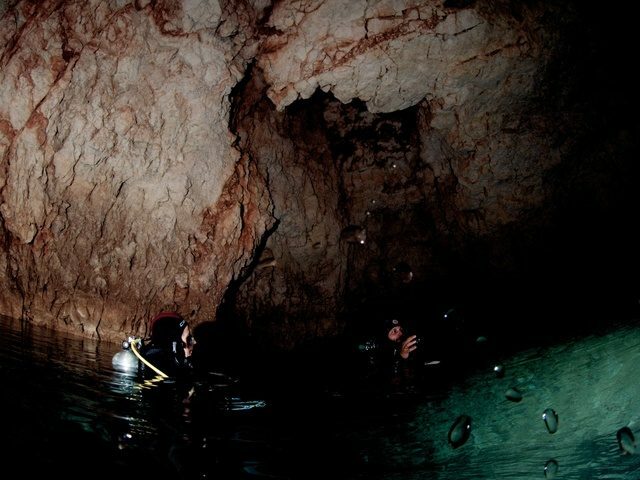 As diver swim through the cave, will notice the fresh water mixed with salt water creating the halocline effect! At last five meters is only fresh crystal clear water with great visibility. 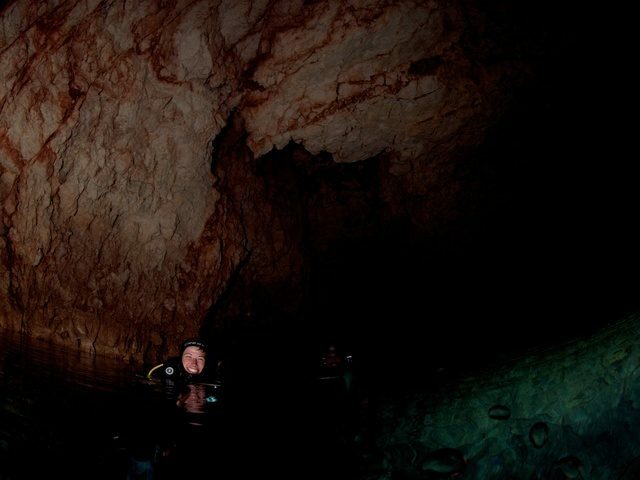 The diver is surfing to the main chamber of the cave, which is full of stalactites and stalagmites. Minimum depth 5 meters, maximum 18 meters suitable for advanced divers.